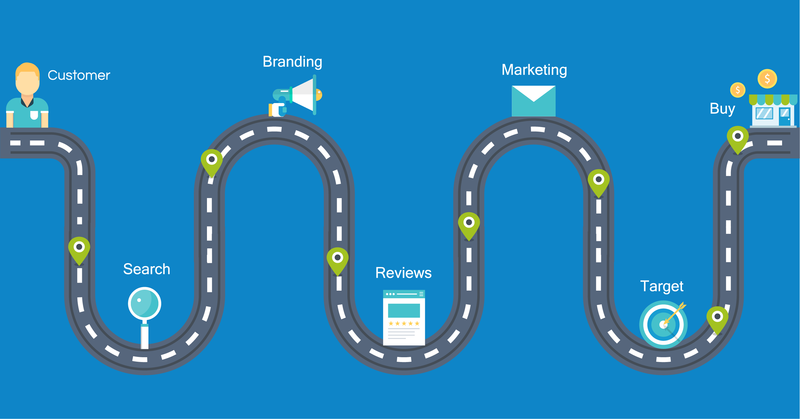 The first step towards improving the ease of your customer’s experience, becoming more customer focused and improving relationships is taking a comprehensive look at your customer’s journey. Customer experience should be at the very center of your business strategy. That said, recent research has shown that your customer can have positive experiences at each touchpoint along the customer journey but still have an overall negative experience. This may seem counterintuitive, but it’s important to consider the journey as a whole and not as a series of individual events. A customer touch point occurs any time a customer comes in to contact with your organization. This can include a visit to social media, contacting sales, visiting the website, or receiving print materials. It can also include indirect contact such as an online review that could still influence a person’s opinion of a brand. How is it Possible for Individual Touchpoints to Go Well but Fail as a Complete Customer Experience? There are many factors that can influence the customer journey as a whole that are not related to each individual interaction. For example, the sequence of interactions could impact the end results. Or each interaction could be positive, but not be aligned to result in the optimal outcome for the customer. Improving the customer journey means paying attention to the experience as a whole. In recent times, the number of touchpoints possible along the customer journey has grown exponentially. New technology is constantly adding touchpoints, from chatbots to smart speakers to even smart watches. The challenge is how to control the ever increasing number of channels, and how to obtain a complete view of the customer journey when it is always changing. Before you get started on your analysis, try and create a list of each touchpoint where a customer may have contact with the brand or could be influenced about the brand’s perception. Be sure to ask for input across departments, so no touchpoint is missed. Determine what the biggest pain points are and rank them. After you have a complete view of your touchpoints, you can begin to step back and take a look at the big picture. How do these channels relate, or come together? How does one touchpoint impact the experience in future touchpoints? A Final thing to consider is that the last interaction you have is the most memorable. How can you make that a positive experience? Is there a way to rearrange the journey so the last experience is a positive one?